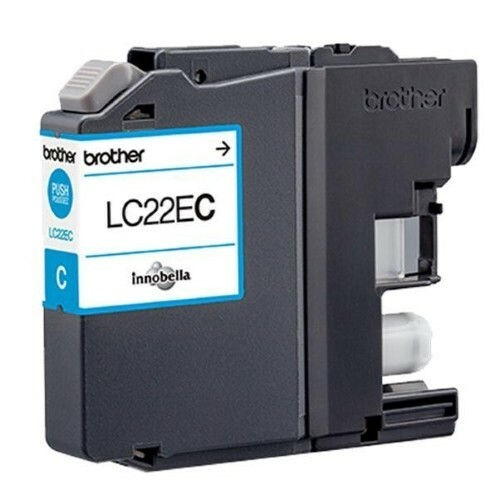 Brother's new LC-22EC cartridge works together with the other colours to produce perfect colour prints. The circa 1200 page yield makes it ideal for small-office printers. Contains Brother Innobella ink.